Enjoy sweet treats before and after both services. All proceeds will help to fund the WICS projects and local missions. It’s a “Fresh Start” with the WICS group. At the last meeting, it was discussed and decided that WICS would begin a quilting group as an Outreach project. Meetings will be on the 2nd Wednesday of the month from 1-5 and the 4th Saturday of the month from 9-1. This project will be open to all who want to participate. Word has it that some of the best quilters are men! Our first Saturday (Jan. 23rd) and Wednesday (Feb. 10th) meetings will be organizational and held in the Activity room at the church. There will be a list of supplies needed, i.e., sewing machines, irons, ironing boards, etc. We will also be discussing our first projects, which will be for our own Garris Chapel family. 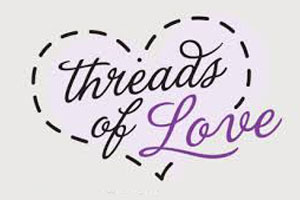 Please begin thinking about people and their family members within our congregation that may appreciate a “Threads of Love” quilt. We look forward to this ministry and time of Christian fellowship. Contact Judy Hudson or Lynn Crumpler with any questions you may have prior to the meetings. WICS or Women in Christian Service, is a ministry that that encourages spiritual growth, flowship with other women, and outreach within our community and world. Garris Chapel WICS is open to all women of any age and stage of life. • We invite a wide range of speakers to present spiritual material or outreach opportunities. We meet on the second Monday of each month @ 7:00 p.m. in the Activity Room of the Church.